made today have them! 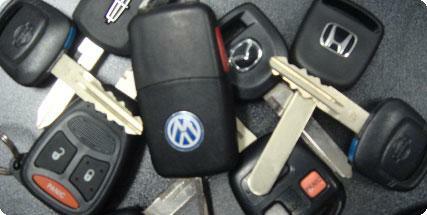 They are found imbedded in the key that starts your car!! 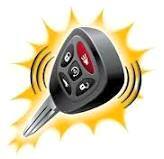 These transponder keys may also have the keyless entry remote function built in as well. In this case you will need the transponder and the remote function programmed to the computer of your vehicle. Transponder technology has been around for a long time. The automobile industry has utilized the technology to benifit them more than you. If you buy an automobile with the transponder embedded in the key, then make sure you demand what ever amount of keys you would like. Sales will not offer. If you lose your last key you must have the key not only cut but programmed into the vehicle so the vehicle will recognize the key as being the proper one to start the engine. The manufacturer was hoping to monopolize the service end of the vehicle forcing the customer back to them. What if you are stranded away from the dealership? Well, you would also have to pay the cost of towing the vehicle to the dealership. What a ploy! The locksmith has always been there to save you from situations such as these. If you lose your keys, we come to you. We save you money. We make sure it works. 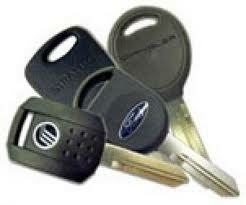 Many dealerships call us to diagnose the problems with their locks and keys. They do this because they are not locksmiths. Dealerships like to replace, replace, replace. The locksmith follows the problem right to the cause so replacement does not have to be the preferred option repeatedly. The days of $2.00 keys for automobiles is pretty much over. But they don't have to cost you hundreds of dollars. Call us for help or just plain advice. We are here! 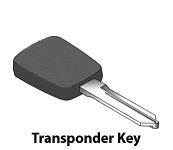 If your car uses one of these transponders then we need to program the computer to accept any new keys. In some cases if you already have keys and you want extras, we might require those as well in order to reprogram them back into the vehicle too. The reasoning behind this is once in the programming mode a vehicle sometimes erases all keys from the start. There are some vehicles like Toyota and Lexus in certain years where the computer had to be replaced if all the keys were lost. That's not necessarily true anymore. We now have the equipment to reflash the existing computer with proper information in order for the vehicle to accept new keys. At a cost difference of a few hundred dollars! Whoa! 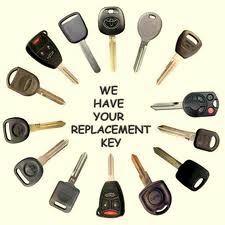 Give us a call and we'll let you know what your car requires.